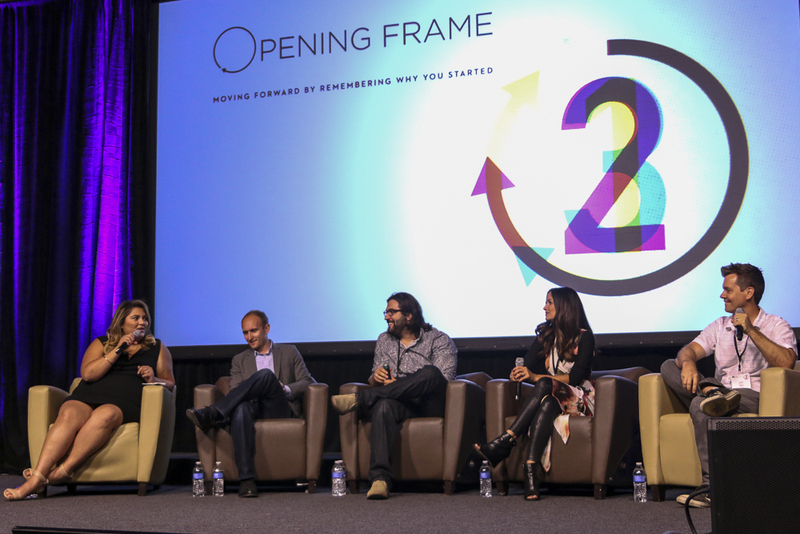 The Biola Media Conference helps Christian media professionals navigate the often secular media field with speakers Tony Hale, Steve Oedekerk and more. Jack Hafer, director of Biola’s Cinema and Media Arts Department, opened the first session by introducing director Jerry Jameson and producer Terry Botwick of the upcoming film, “Captive,” starring David Oyelowo and Kate Mara. Jameson and Botwick spoke on how we use story to reach an audience and how many Christian based films start by creating a sermon rather than beginning with story and character. Though Botwick stressed that both methods of filmmaking have their place, he encouraged students to tell authentic stories that have elements of truth in them rather than creating works designed around a moral agenda. Steve Oedekerk, writer, director and producer for films such as “Patch Adams” and “The Nutty Professor,” encouraged budding writers and filmmakers to continue writing and developing new ideas during the conference’s second session. He challenged students to create first and critique second, addressing the need to develop and experiment before crafting a final project. 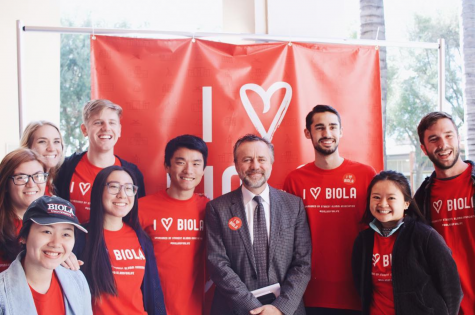 The Biola Cinema and Media Arts department screened student-made films “Kyle & Captain Courage” and “Heritage.” These works presented attendees with a glimpse into the potential of the next generation of Christian filmmakers. The conference also featured a panel discussion with media professionals Marcy Guevara, Jack Vale, Chris Masi, Chris Herzberger and Kristin Adams where they relayed their personal experiences in the field and gave advice to younger members in the audience. “Every cool thing I’ve ever done in life has been because I picked up the phone and asked,” Adams said. Each panelist encouraged those in attendance to pursue media careers with perseverance, detailing how their own persistence was rewarded. Kim Lawton, managing editor and correspondent for the PBS show “Religion & Ethics NewsWeekly,” was given the Robert Briner Impact Award for her integrity in the field of broadcast journalism. Keynote speaker Tony Hale, known for “Arrested Development” and his Emmy-winning role in HBO’s “Veep,” ended the conference with several stories from his career and an encouragement for those looking to go into the film industry. He discussed the concept of fame and our inner desire to be known by the people around us. “If you’re known by people who love you, that’s all the known you need,” Hale said. Instead of seeking the approval and admiration of others, Hale encouraged the audience to live in the reality God places them in and surround themselves with people who care about them deeply. He discussed the importance of maintaining a close-knit community of believers in his own life and encouraged the rest of the audience to create the same sort of community in their lives.